Yeah I tried it for two weeks when it first started… The offering was quite good (I particularly liked the overseas cricket and the NCAA football. The buffering however was chronic. Now I can probably cope with a little buffering, but I have Netflix and the NFL and never experience any issues with them. I’d rather watch nothing at all, than stare at a frozen screen while a crucial wicket had been sent to the DRS. I sent Kayo to the DRS (Don’t re-subscribe). You’re dead right about Netflix- always rock solid- so if they can do it, surely others can. But it’s the memory dump issue that’s the main problem for me at the moment. If buffering becomes a chronic issue again for me then I’m out- makes Kayo no better than the “unofficial” streams in this case. For $300/year one is entitled to expect a good service. And yeah to use your terminology it’s ‘rock solid’… I’ve never had any buffering issues. Which is why in addition to the pull content (when watching on demand) I also love just streaming the NFL network… it’s slick and polished and has the right mix of games, magazine shows, serious analysis and fun programming and great TVCs. It’s perfect for just having on in the background. I basically only watch cricket on Kayo, but I’m a tragic so I watch most of the international games as well when I can. Outside of cricket, I will probably only watch the non FTA Dragons games and perhaps the NBA Finals: I’m a bit of a tight arse so am reluctant to pay for anything if it doesn’t deliver. You’ll be pleased to know that I support the Black Caps as much as the Aussies. I remember going to Lancaster Park with my Grandad in 1981. He’d bought us tickets for all five days of the test. The crowd on the embankment booed an jeered Greg Chappell when he came out to bat. We were sitting in the #2 stand and my G’dad clapped him as he came out. He encouraged me to do the same. He said to me ‘this batsman is probably one on the best you’ll ever see’. That did not sit well with me considering what I’d seen a month prior. I was there the next day to see him make 176. The whole crowd gave him a standing ovation. Including those on the embankment. You’ll be pleased to know that I support great cricket when it is played. Even when it is the Aussies. Ice Hockey fans have plenty to look forward to with the National Hockey League (NHL) now available to stream on Kayo, Australia’s new multi-sports streaming service. Through its partnership with ESPN, Kayo will show a minimum of three live games each week. Heading into the playoffs, there will be extensive coverage of rounds one and two, the Conference Finals and the Stanley Cup. All games are provided by Kayo’s broadcast partner ESPN, and will be available to stream LIVE and anytime, instantly, along with over 50 other sports on Kayo. ESPN on Kayo will be streaming games for the remainder of the 2018/2019 NHL season plus the 2019/2020 season and the 2020/2021 season. Game-changing features on Kayo include ‘SplitView’, which allows subscribers the ability to watch up to four different videos, games or shows on web, tablet devices and selected casting to TVs - and two videos simultaneously on mobile, all on the one screen. Another of Kayo’s features is picture in picture mode, which gives ice hockey lovers the ability to have the game playing in the corner of their desktop screen while they are working. With Kayo’s ‘No Spoilers’ function, fans who have missed a match can have pre-game peace of mind by switching off the scores and jumping in to watch the action as if it were live. *All times are LIVE and AEDT unless stated otherwise. Times and matches are also subject to change. Details on further games to follow. Love to see them pickup some Canadian games from Rogers, like the whole Hockey Night in Canada package. I too am looking forward to this. Yes, you need Foxtel for that. Still some advantages to getting Foxtel and they have been advertising their US offering in recent weeks. 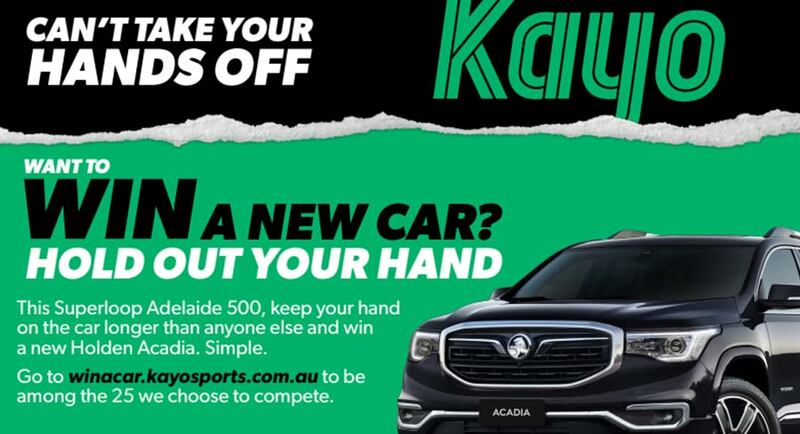 Kayo is offering the chance to win a brand new Holden Acadia in a new competition for subscribers. Entries must be received by 11:59pm AEDT on 24 February 2019. Kayo, Australia’s multi-sport streaming service, officially launched its comprehensive Supercars coverage beginning with this week’s Superloop Adelaide 500, offering fans a new way to experience the heart-stopping action. There is plenty for fans to get excited about, with Kayo offering live coverage of every practice, qualifying session and race across the season live and anytime, with game changing features that put the viewer in the hot seat. Supercars stars, seven-time Series Champion Jamie Whincup , 2016 Series Champion Shane van Gisbergen , 2015 Series Champion Mark Winterbottom , 2010 Series Champion James Courtney , 2014 Bathurst 1000 winner Chaz Mostert and Supercars’ only female driver, Simona De Silvestro helped launch Kayo’s Supercars offering at a media event in Adelaide’s Victoria Square today. A new feature RaceView will launch in time for this season’s opening race, the Superloop Adelaide 500. RaceView will consist of three different camera modes including Co-Pilot View , an in-car driver camera, Heli View* , a helicopter camera, and Race Centre , which will show the leaderboard and driver stats. Supercars fans will be able to access all three unique camera modes at once, via the exclusive SplitView feature which provides Supercars fans with a whole new way to experience the on track action. Available for every qualifying and championship race of the 2019 season, viewers will be able to access the main race plus all three additional camera modes at once on web, tablet and selected TV devices. Users of the mobile app will be able to select two screens at once. Kayo has every practice, qualifying session and race, LIVE and ad-break free, of the 2019 Supercars season, with new customers able to sign up now and get streaming instantly with a 14-day free trial. In addition to launching RaceView , Kayo also unveiled the Kayo branded Holden Acadia that will feature in the Can’t take your hands off Kayo challenge which kicks off at 5pm ACDT on Thursday, 28 February from within the race precinct. 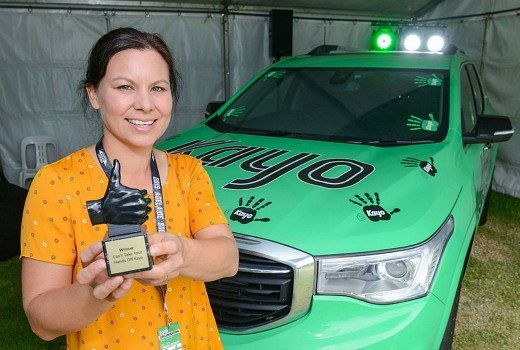 Kayo has selected 25 participants from more than 1000 entries to face off in the ultimate endurance challenge, with the last person standing with their hand on the car winning a brand new Holden Acadia valued at almost $65,000. The Superloop Adelaide 500 is LIVE on Kayo from Thursday, 28 February. Kayo Sports, Australia’s multi-sport streaming service, is now available on Android supported TV devices and Android TVs. Launching in time for the winter sports, customers with Android TV operating system (OS) devices or Android TVs (available for Android TV OS 7.0 and above), will now be able to instantly stream over 50 sports live and anytime on Kayo. To enjoy the best experience of Kayo on Android TV, it is recommended customers stream on NVIDIA SHIELD, Nexus Player, MIBOX3 and Fire TV 4K with Android TV OS 7.0 or above. 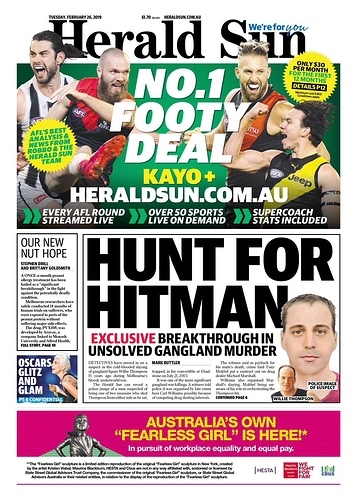 In addition to Android TV, Kayo’s non-stop sport can be instantly streamed on iOS and Android devices, laptop, PC and on TV with Telstra TV, Apple TV, and Chromecast Ultra with more devices set to be released in 2019. Customers with Android TV can enjoy Kayo’s unique features like Key Moments, so fans can watch only the best bits of a game, and No Spoilers, which enables viewers to turn off the scores and jump in to watch an event as if it were live. Kayo’s Splitview, where sports fans can stream up to four events on the one screen is supported on selected Android TV devices. Did people think it wouldn’t be on an app owned and operated by the host boardcaster? Sorry my bad. I thought it was in regards to the Supercars. Sonia Terrington won the Acadia after lasting 57 hours by holding one hand on the car. Kayo contest lasts more than 2 days, but a winner walks away with a new car.